At Shaw Stone, we specialise in engineered quartz and natural stone worktops to create a stunning focal point for your kitchen. With over 15 years in the industry, we are now a well-established family business in Hampshire. We pride ourselves in quality local craftsmanship and exceptional customer service. 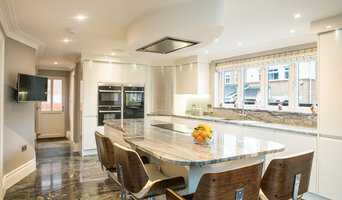 All of our worktops are made with high quality materials, using a combination of the latest computerised machinery and, of course, traditional, hands-on masonry skills. Worktops – which can range from one-off pieces to large, multiple installations – are made at our Titchfield factory in Hampshire. Despite our track record for making and fitting wonderful worktops, we don’t rest on our laurels; we continually invest and learn to ensure that our service delivery always exceeds customers’ expectations. If you would like to find more out about Shaw Stone, please do get in touch on 01329 844474 – we look forward to working with you! We celebrated our 50th anniversary in 2018. We are the largest Stonemason in the South of England since 1968 and are known for our attention to quality and customer service. We are passionate about producing & manufacturing everything to the clients' specification and in the stone of your choice! The only things that we supply ready made are tiles. stoneCIRCLE manufactures stone products for both domestic and contract use in the largest stonemasonry factory in the south of England with 2800m2 of production space with the latest stone cutting CNC technology including 3D modelling and carving of stone and water jet cutting. We are based in Basingstoke, Hampshire, half an hour's train journey from Central London, with a showroom at the factory. We'd love to meet you there! At Atlas Ceramics we stock a wide range of beautiful, high quality tiles, ideal for both walls and floors. Adding borders and decors can help you to create stunning, unique designs that allow you to achieve the perfect look within your home. Find inspirational ranges of Kitchen tiles and Bathroom Tiles available in various styles, colours and sizes from the matt finished tiles to the sparkly Gulf Stone; allowing you to completely transform your home décor. We also have great offers on selected ranges of mosaic tiles including natural stone, glass, porcelain and pebble mosaic tiles. You can choose your tiles online (with Delivery available across the UK) or you can pop into our fantastic South Coast showroom; based in New Milton, Hampshire if you are in the area, as we have many beautiful displays of all our floor tiles and wall tiles. For an added touch of luxury at an affordable cost to both buy and to run, we also supply Warmup underfloor heating, adding wonderful warmth to your floor and environment. We also have a wide range of tools & accessories from Weber, Rubi and Lithofin to help you to add your new tiles with ease. Perhaps you are looking to add a rustic touch to your next project - we now sell a wide range of beautiful wood floorings, suitable for any room of the house. After two years' training at the Istituto d'Arte per la Ceramica, Caroline Egleston set up the Piccolpasso workshop in Hampshire, UK, making handmade tiles. First Stone is a friendly professional family run business that provides quartz, granite, marble and dekton for kitchens and bathrooms. We supply to studios, developers, builders, architects, interior designers, individuals and some retail work too. We have a great team of employees ranging from director to stonemasons. Combined experience within the team is over sixty years of stone fabrication. We employ our staff full time, who are therefore dedicated to meeting our ideals. They are highly skilled and are very good at not just the straightforward but also the tricky stuff such as the mitred quartz jobs, sharknoses and other unusual edge details, we are also experienced with Dekton and other Ultra Compact Surfaces. Our experienced and practical craftsman pride themselves on resolving unusual and challenging installations, working to tight deadlines and providing high quality finishes within clients' budget limitations. We have a showroom on site which has a large number of samples that customers can choose from while enjoying a hot drink and discussing their kitchen/ bathroom plans. We also have stone in stock in full slabs that can be looked at in full as well as off cuts for smaller jobs like fire hearths, window sills etc. which can be cost effective. We aim to be as helpful and constructive as possible to ensure you and your customers are happy we understand that kitchens are the focal point of home life and that bathrooms are meant to be a relaxing space. You’ll find that Target Tiles are one of UK’s largest independent online tile retailers, with over 30 years’ experience in supplying tiles to the public as well as architects, designers, specifiers, contractors and developers. Our company values remain the same for every part of our business, which is to provide you with quality products at competitive prices and outstanding customer service delivered by our friendly and knowledgeable staff. With substantial stock holdings in our Farlington (Portsmouth) operations centre we ensure the entire operation is geared towards meeting your demanding schedules. All of our tiles are imported from factories that comply with current European standards, so you can be assured of the best quality. Our extensive range, from Europe’s leading manufacturers, also puts you at the forefront of cutting edge designs and technologies; while our longstanding relationships with these European partners, and huge leverage in buying power, provides you with the best deal online every day. Selling Online Selling online since 2006, Target Tiles prides itself on becoming the UK’s leading independent online tile retailer. With intensive staff training Target Tiles is helping to shape and transform the UK tile industry and make it more professional. As early adopters and specialists in online tile retailing, we can meet daily the ever-changing and increasing demands of the UK consumer and ensure your needs are met and exceeded. Our family run showroom has a wealth of tiles on offer to cater all budgets, whether you are revamping a small WC or renovating an entire house indoor and out - walls and floors - the staff at The Tile Emporium Ringwood are able to assist you in achieving any look you wish to create. With an eye for detail and ranges on show which cover all of the latest styles and fashions through to the classic look, we pride ourselves on customer service and look forward to helping you source your tiles for any application along with walk-in wet room tanking kits and linear drains, underfloor heating solutions, natural stone and cladding to name but a few. With over 30 years experience you are in knowledgable hands. At wharf seamless® we are passionate about designing, manufacturing and installing the best bespoke seamless worktops in the UK. 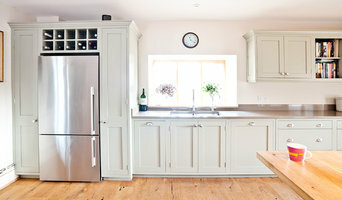 They are available from an approved network of kitchen showrooms. If you are looking for a beautiful and contemporary look for your kitchen surfaces, then wharf seamless® worktops are the answer. Our Salisbury factory and showroom sit in the peaceful Wiltshire countryside in West Tytherley. Here for over 20 years we have carved our reputation as one of the South’s leading supplier of granite and engineered quartz worktops. Situated off the A30 between Salisbury and Andover and with easy access from the M3, our manufacturing equipment offers the highest quality CNC stonework. All of which is hand finished and supplied to Homeowners, Kitchen and Bathroom Suppliers, Interior Designers, Architectural and Building Professionals. With materials sourced all over the world, from Brazilian natural river Porferi, Italian Carrara, Spanish Nero Marquina, or Swedish Emerald Green, the choice is endless, and exhilarating. Add quartz to the mix and the world is your oyster. Using some of the latest cutters and machinery in the business, we are masters of the material, with the agility to form the most sophisticated and beautiful work surfaces imaginable. Most importantly, there is nothing we value more than the customer, and we take pride in providing the highest quality workmanship from start to finish. 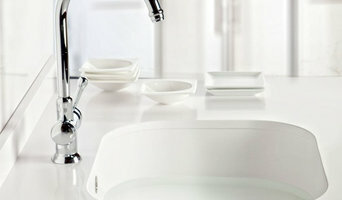 One of the largest ceramics manufacturers in the world, RAK Ceramics has a global annual production capacity of 117 million square metres of ceramic and porcelain tiles, 4.6 million pieces of sanitaryware and 24 million pieces of tableware; with a one billion US$ turnover and a distribution network that spans 160 countries. A large format tile specialist supplying, fabricating and installing porcelain. Imported directly from Italy's leading porcelain manufacturers, we supply tiles for interiors and exteriors, including bespoke applications. Using the latest waterjet technology we are able to fabricate kitchen worktops, splashbacks, shower enclosures to name a few. Retired firefighter now enjoying second career, as a tiler and plasterer with fifteen years experience. Friendly and reliable service, no job too small. I am a self employed Tiler based in Bournemouth, Dorset I offer a fully qualified and professional wall & floor tiling service with 12 years experience. I am a long standing proud member of The Tile Association (TTA) with whom I receive my Public liability Insurance through. Art of Stoneworks LTD specializes in all types of stones, Marbles, Onyx and Granites. Our portfolio includes projects such as Artistic sculptures, Stone restoration and conservation but we also work with outdoor living areas, staircases, commercial building, walls, terraces, custom fireplaces, chimneys, outdoor fireplaces, fire pit, entertainment areas, and so much more. Worktop installers and tilers in Southampton, Hampshire can advise on the best tiles and materials to use based on your tastes and requirements and then will be able to install them to a high finish in your home. Kitchen worktops are a major part of your kitchen – you need surfaces that will be scratch and heat resistant, but at the same time still look attractive and work in harmony with your kitchen units, splashback and other kitchen elements. A worktop manufacturer and installer will be able to fit new kitchen worktops or replace old ones with ease, helping you to pick out the best kitchen worktops for your home first. Tiles are so versatile that they can be used in kitchen splashbacks, floors, bathroom walls and as decorative designs elsewhere in the house. Tile manufacturers and tilers in Southampton, Hampshire will have a great range of tile designs, sizes and materials to choose from and will help you to pick the best tile for the job. Laying tiles may look easy sometimes, but one badly laid tile can ruin a whole floor or wall, so it’s really best to leave it to a skilled tiler. With Houzz you can find Southampton, Hampshire tilers, tile manufacturers and worktop installers near you and check their previous projects, reviews and ratings to decide if they’re a good fit for your home design project. Why should I hire worktop installers or tilers in Southampton, Hampshire? Perfectly laid tiles and worktops can look simple and seamless once finished, but installing them is far harder than it looks. It really pays off to hire a Southampton, Hampshire tiler or worktops professional as they will have the experience and expertise to finish the job efficiently, quickly and to a high quality. From metro bathroom tiles and porcelain tiling, to kitchen worktops, splashbacks and travertine floor tiles, there will be a tiler or worktop professional who can install the surface you need for your bathroom or kitchen design. There will even be tile and worktop repairers to help you if you need a quick fix-up to your surfaces. Tile manufacturers, worktop professionals, and often tilers in Southampton, Hampshire themselves, will also be able to advise you on the right materials to use if you’re not decided on one particular type. They can tell you the advantages of the different flooring, wall tiles and kitchen worktops so you can make the right decision for your home. If you’re after a bespoke tile pattern, mosaic or mural created and laid in your house, this will also be possible with Houzz as we list such a wide range of tile manufacturers, worktop professionals and tilers in Southampton, Hampshire. It could be the case that you can find a design or construction company that can offer tiling and worktops as part of their work, whilst also undertaking other projects for your house redesign, so it’s worth looking out for these professionals, too. Here are some related professionals and vendors to complement the work of tiles, stone & worktops: Interior Designers, Architects & Building Designers, Main Contractors, Kitchen & Bathroom Designers, Design & Build. Find a tiler or worktops professional on Houzz. 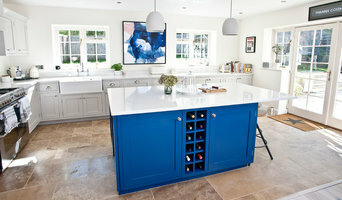 Narrow your search in the Professionals section of the website to Southampton, Hampshire tilers and worktop installers. You can also look through Southampton, Hampshire photos to find projects you like, then contact the contractors or tilers in Southampton, Hampshire who worked on the tiling work or kitchen worktops.